Proin gravida nibh vel velit auctor aliquet. Aenean sollicitudin, lorem quis bibendum auctor. Proin gravida nibh vel velit auctor aliquet. Aenean sollicitudin, lorem quis bibendum auctor. A career in transport provides a rewarding and varied lifestyle, with a high level of personal responsibility, but also often working in a team. There are many different types of driving jobs with a vast rangeof companies using different types and classes of vehicles. If you have passed your driverâ€™s test of UK before January 1997, you must already..
Dhoot is an expert driving school in UK. 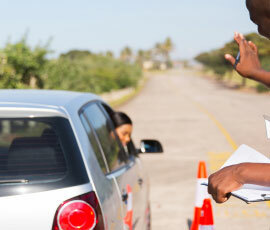 We are one of the leading driving licence providers company in UK. We have developed customerâ€™s trust and reliability by giving them quality driver training since the last 35 years. This makes us the most trusted driving license company in UK. Based in Hayes Middlesex, we have expert trainers and instructors that will make you a perfect HGV truck driver within 5 days! This is just because of our highly dedicated and well-educated driving instructors. We provide a variety of Driver Training like HGV Training, LGV training, bus training, PSV training, PCV Training, CPC training, and coach training. You will get a driving licence with ease. 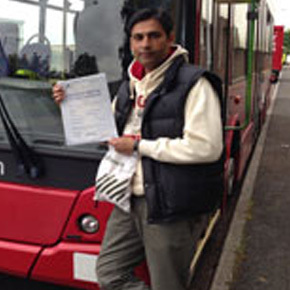 Let it be LGV license, PCV license, HGV license or any kind of driving license London, we are there for you. Having LGV Training courses and HGV Training courses from us, you can get to learn driving at an instant with proper knowledge and skills. 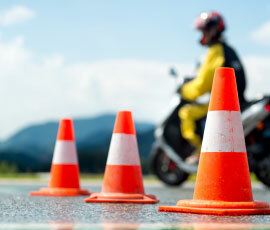 Our driving trainers have immense experience and knowledge that will make you perfect driver in a short span of time. In addition, it will create an opportunity for you to get driving license in your first attempt. This makes us the preferred choice among many people in London, UK. How much can I earn as an HGV driver? As an HGV driver, you can earn up to Â£600 a week – over Â£11 per hour! 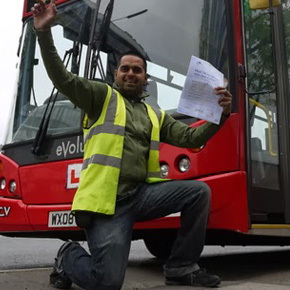 Newly qualified C drivers earn Â£400 – Â£450 a week, and start to earn more as they gain experience and acquire specialist skills. 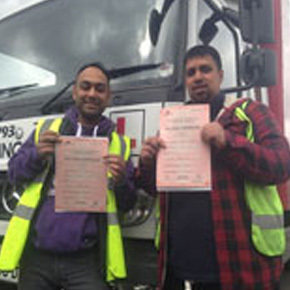 Dhoot driving school will advise you on the best way to pay for your HGV training. Call us on 0795822783, and weâ€™ll run you through all the payment options. You may be eligible for a loan or grant or you simply pay for it yourself. Fresh Logic will take you through the options and help you choose the most suitable. You can obtain your HGV licence in 5 days. 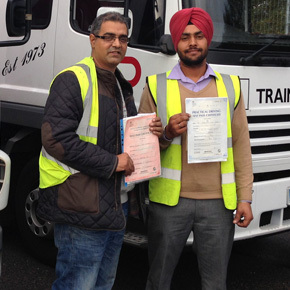 If you are a competent car driver, you can become a competent HGV driver. The courses are intensive – youâ€™ll be learning for eight hours a day – but if you can do it, youâ€™ll be on the road in no time at all. 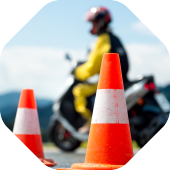 Where will I do my HGV training? You will be training at one of our training centres in Bicester, Manchester or Cambridge. Training is also available at other sites around the country. Will I have the skills to do the job? Once youâ€™ve gained your HGV licence youâ€™ll be legally allowed to drive a truck. But you can also go on to take a Fresh Logic Fast-Trak course, which will give you more than an HGV licence – our impressive FastTrack package will prepare you for a career in HGV driving, allowing you to start your job with a better grounding.